There are two basic types of fillings: dental composites, also called white fillings, and amalgams, commonly called silver fillings. In the past, dental fillings and other tooth restorations were made of gold, amalgam and other metals—some of which were veneered with porcelain. Now, dental work can be made entirely of composite materials that more closely mimic the appearance of natural tooth structure. These tooth colored materials are bonded to the underlying tooth structure. 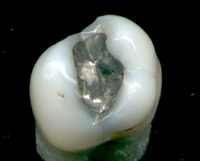 Unlike silver fillings (amalgams) they are entirely free of mercury. 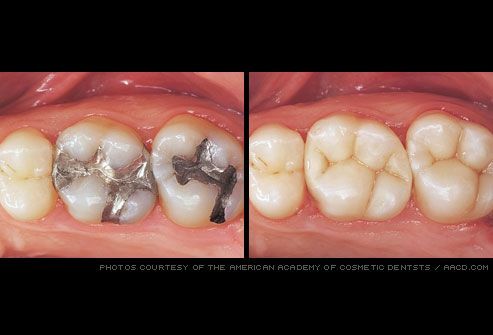 The main advantage of a direct dental composite over traditional materials such as amalgam is improved aesthetics. Composites can be made in a wide range of tooth colors allowing near invisible restoration of teeth. Composites are chemically bonded to teeth and this strengthens the tooth's structure. Amalgams are mechanically held in place, therefore they do not give added strength to the overall tooth structure. At Platinum Dental we provide composite fillings.